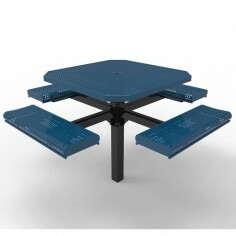 Check out our vast selection of outdoor park furniture and amenities. We have it all! Everything from park tables to bulletin boards is for sale online. With our affordable prices, fast delivery, and amazing choices, you can find the outdoor park furniture that's right for your community's space. No matter what needs you may have, PlaygroundEquipment.com can help. 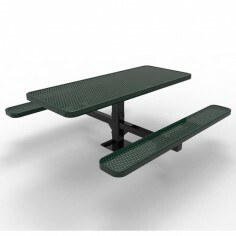 From chairs to picnic tables, to park benches to trash receptacles, and grills; we offer a huge array of outdoor park furniture that will bring a new space to life. Whether you need products for a new outdoor commercial space, a rejuvenated public park, or a local playground, you can find the items you need to create a sense of community. Mix and match these items to create the space you imagine, and then assemble them into your quote cart. Then, you can request a quote. In addition to being safe and sustainable, our products can beautify a space. We can provide both the equipment you need along with an assortment of site add-ons. Create a traditional or super modern space with our items, and bring whatever new style you desire to your area. 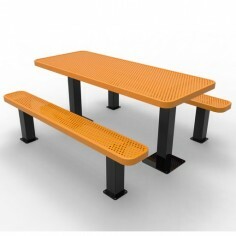 Park furniture is available in an array of colors, materials, and finishes, from Earth-friendly recycled plastic options to weather-resistant coated ones. By picking and choosing from our selection of products, you can realize the kind of park you need; whether that's a high school recreation area, a local neighborhood community area, or a highly-modern commercial area where employees can relax. With many styles and choices available, it's no wonder than many businesses buy from PlaygroundEquipment.com! With so many equipment options, knowing where to begin may be a little bit daunting. 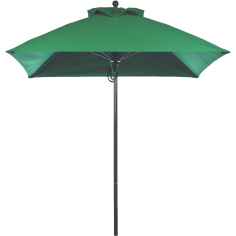 For an easy visual aid, browse our items and start to assemble them in to one quote cart. We also offer articles and tips on how to plan a playground or space. For individualized help from one of our pros, feel free to contact our representatives to find the right choices for your area. Call us at 1-800-667-0097 to talk to a representative today.